It has been the transition that every Trump supporter dreamed of and every Trump detractor feared; A whirlwind of pen strokes, cabinet appointments, and troubling tweets. The conservatives got the Scalia-clone they wanted. The home-schoolers got the voucher champion they wanted. And “Saturday Night Live” died and went to heaven. But I’m sad for the church. I love the church. I have devoted my life to the church. To be sure, the church is not monolithic. There are churches of every color and conviction. But these days when you hear “church”, most people envision a certain church. It’s the “American” church. It’s a Protestant church. It’s a Bible-believing, evangelical church. It’s the church of the media. It’s Billy Graham. It’s TBN. It’s CBN. Trump polling: White evangelicals 81%, Ku Klux Klan 100%. Explanation? Possible. Optics? Terrible. Damage? Unbelievable. 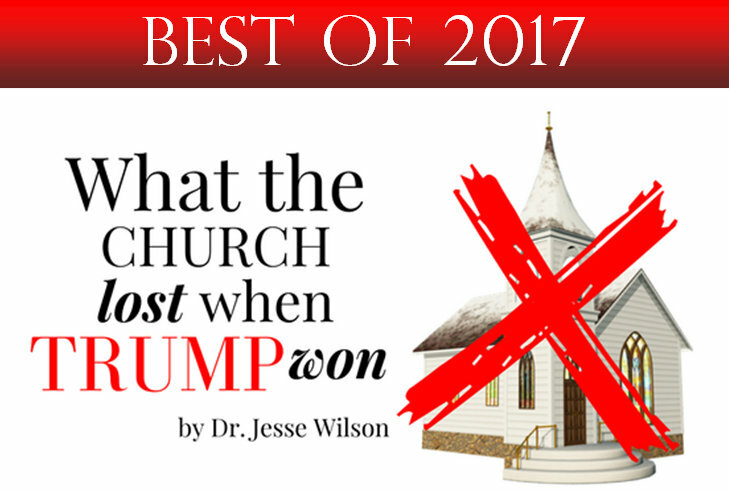 I think that the “church” lost several things on the night that Donald Trump won. Let’s take a look at 3 things that were lost. 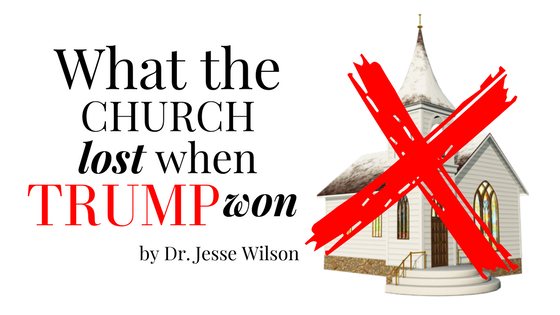 The Church lost moral authority. Trump was taped bragging about grabbing women’s private parts and accused by a number of women of doing just that. Trump’s tweets and comments demonstrate his tendency to respond to any and every slight or attack by responding in kind. In other words, if they go low, he goes lower. Frankly, the problem here is not that Trump made and will continue to make mistakes. We all do! We all will. If we had the glare of the media on our every move, they would possibly find as much if not more. The problem is the church’s response to his mistakes. 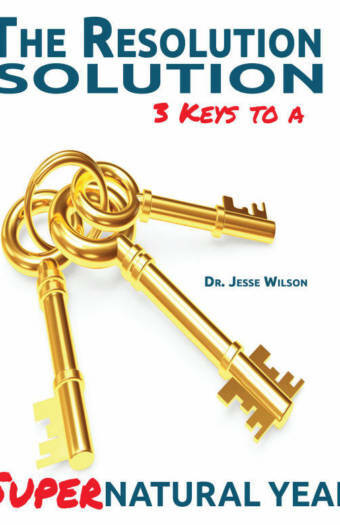 Rather than speaking truth to power, or offering Godly counsel or accountability, the church has tended to deny, downplay, or deflect his comments. The cost is a loss of moral authority. 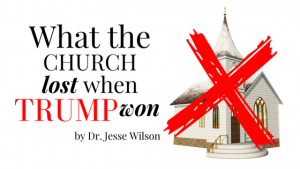 The Church lost minority support. I noted earlier that over 80% of white evangelicals voted for Donald Trump. The numbers were the exact opposite among African-Americans. That kind of opposition from people of color in general, (and African-Americans in particular) illustrates more than a blind allegiance to the Democratic Party. It speaks of a deep fear of some of the policies and positions that Trump and the Republican Party hold. Think about it. Where you stand on policies is driven by where you sit. In other words, your view of policies is driven by how those policies impact your daily life. And people of color are looking at: affordable housing, the criminal justice system, public school funding, gun control, affordable health care, banking and lending policies and a host of other issues from a completely different vantage point than most Anglos. Personally, I don’t think that Trump will be as bad on certain minority issues as some fear. As a professor at an HBCU (Historically Black Colleges and University), I’m reminded that some of our best fiscal years were under the Republicans for reasons that are beyond the scope of this article. And I also believe that some Democratic politicians have come painfully close to taking minority support for granted. But on balance, the Trump years look to be challenging years in the minority community–at least in the short term–and that will cost minority support. 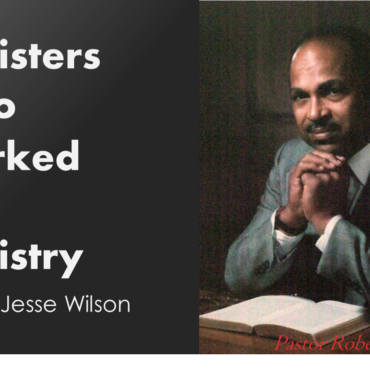 The Church lost religious liberty. I’ll probably get push back here because Trump’s mouth says that he supports religious liberty. And he has illustrated it by giving priority to Christians who are being persecuted abroad. (2) But as much as I appreciate the support for persecuted Christians, Trump’s actions look less like religious liberty and more like religious patronage. Support for those who have supported him. I understand that we are dealing with security issues that are nuanced. They defy neat and tidy answers. And I’m certainly not against border security that protects us from dangerous regions and religious fanatics. But when religious affiliation drives the decision of who gets in and who stays out, religious liberty can shift into religious persecution in the blink of an eye. And for those of us who hold religious beliefs that are out of the mainstream, it’s just a matter of time before the targeted outsider becomes…us! I’m done with my Trump commentary for now. 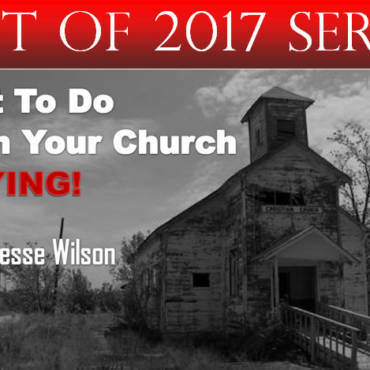 This blog is primarily devoted to issues of church leadership, missiology, creative church growth, and trending religious topics. But one of our primary roles as Christian believers is to be the salt of the earth.(Matt. 5) Salt flavors. Salt preserves. And at times, salt…irritates! Tell me your thoughts by commenting below, or CLICK HERE and join the conversation on Facebook. For the rest of the year we will be returning to several blogs that were released this year. It’s our “Best of 2017’ series. Some went viral, some got little attention, others were simply favorites of mine. Read them for the first time or read them again and share your comments. At the first of the year we’ll be introducing a major project and offering a free copy of an e-book entitled, “To Whoop or Not to Whoop: Is That The Question?” Don’t miss it. In the meantime, please complete your PELC 2017 surveys. We need your reflections and suggestions- preachers, seminars, etc.- for December 2-5, 2018. CLICK HERE FOR LINK! Great information, please explain why 80% voted for Trump and 80% voted against Trump. White and black evangelical church. I read your article is there more you can say on this topic. So glad you started this conversation. Our church tries so hard to be politically correct. Let’s speak out where necessary.